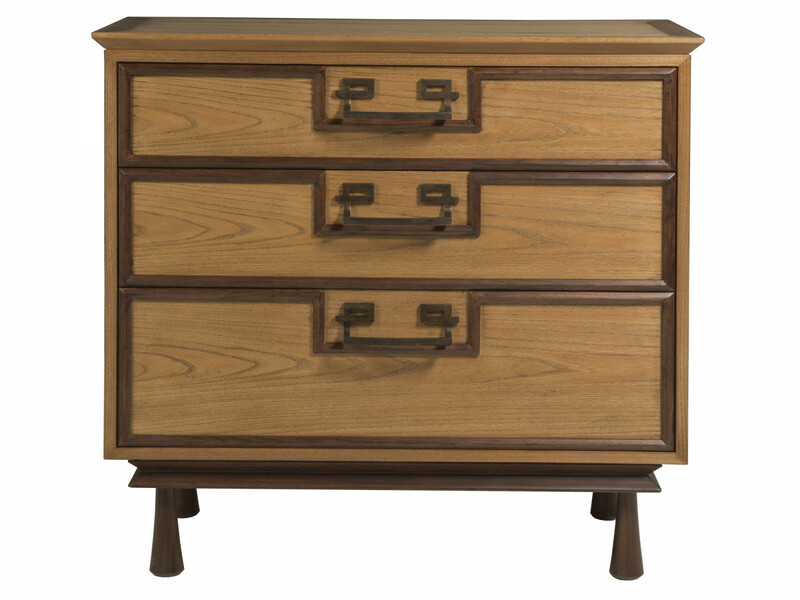 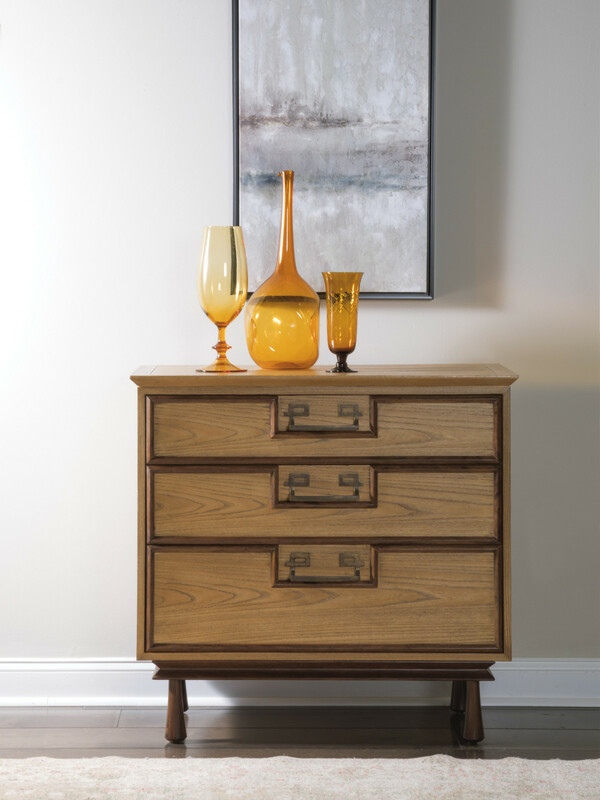 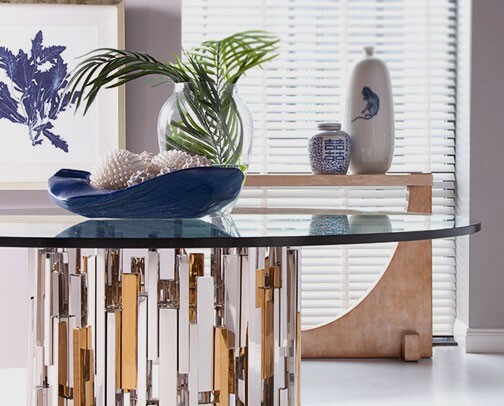 Traditional design crafted from elm solids and veneers in a natural honey sandblasted finish with dark walnut overlays and light physical distressing. 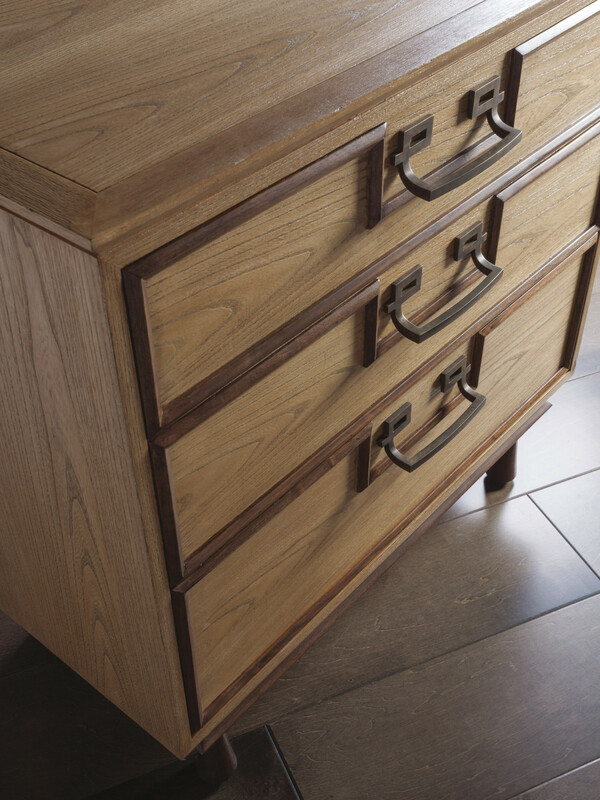 Three full-extension soft-closing drawers with hardware in an antique brass finish and iron legs in a dark antique copper finish. 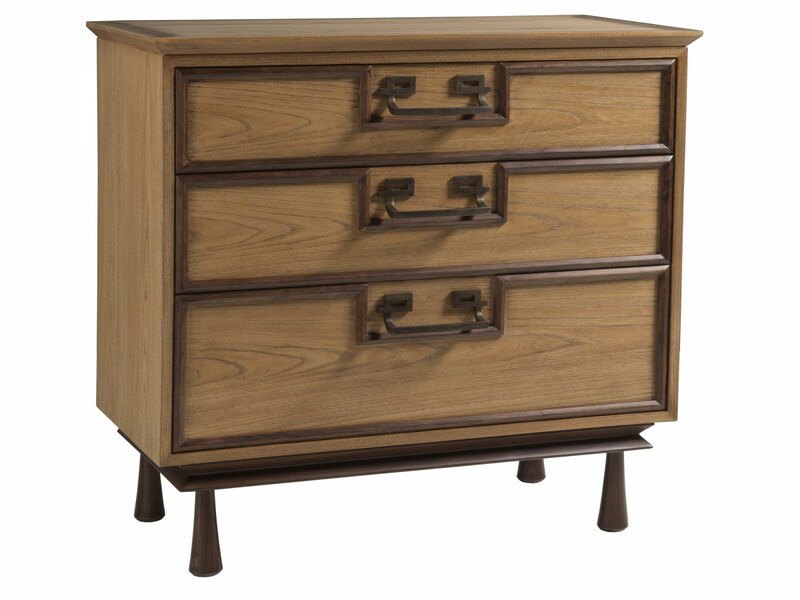 Dimensions: 38W x 19D x 36H in.